Gel is milky white in the jar, but dries completely transparent. Its consistency is very thick, for producing heavy impastos with a brush or knife. 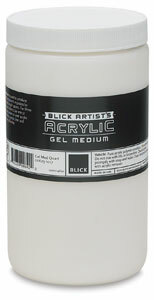 Add Gel Medium to acrylic colors.